Hello everyone, I’m very happy to see you all here. First, let’s give thanks to God for preparing this opportunity for us, and may God guide us and work amongst us. Brothers and sisters, after our Lord Jesus had resurrected and risen up to heaven, all of us who believe in the Lord yearn for Him to soon return in order to make our many years of wishes come true, and so that we could receive His promise and enjoy His blessings. Especially in the last days, our desire to see the Lord’s return is even more urgent. The prophecies of the Lord Jesus’ return have basically been fulfilled now, and we have all seen or already heard of the frequent occurrences of all kinds of disasters in all nations of the world. They are, moreover, without historical precedent, and there are disasters occurring everywhere, such as floods, droughts, earthquakes, plagues and wars. The state of the world is also in turmoil, and there are frequent wars and terrorist attacks. Furthermore, the sermons of pastors and elders in the church are nothing but stale platitudes without any new light whatsoever. Many believers hear these sermons and feel no enjoyment, and desolation takes the place of their faith and love. Is this not precisely the situation when the prophecy of the Lord Jesus’ return is to be fulfilled? The Lord Jesus said: “Now learn a parable of the fig tree; When her branch is yet tender, and puts forth leaves, you know that summer is near: So you in like manner, when you shall see these things come to pass, know that it is near, even at the doors” (Mark 13:28–29). We all know that this passage of scripture is referring to the reemergence of Israel. Israel reemerged several decades ago, the fig tree has put forth tender leaves, and the prophecies of the Lord Jesus’ return have basically already been fulfilled. Brothers and sisters, since these prophecies have basically already been fulfilled, why then haven’t we seen the Lord Jesus descending upon a white cloud? Could it be that He has forgotten the promise He made two thousand years ago? Surely not, for God is faithful and His words are both faithful and to be trusted; when He utters a word, it will then necessarily be fulfilled in accordance with His plans and with the promise He made to man. Just as it is recorded in the Bible: “He that shall come will come, and will not tarry” (Hebrews 10:37). In fact, the Lord Jesus long ago incarnated and descended in secret amongst us in accordance with His promise, and He now performs a new work. But some brothers and sisters believe that it is clearly recorded in the Bible: “This same Jesus, which is taken up from you into heaven, shall so come in like manner as you have seen him go into heaven” (Acts 1:11). They believe that, because the Lord Jesus resurrected and ascended into heaven upon a white cloud, therefore when He returns, He will certainly descend upon a white cloud in the sky and everyone will be able to see Him. And so they ask how it can be said that the Lord has already incarnated and has descended in secret? And if that is the case, they ask, then how will the prophecy that the Lord shall descend upon a white cloud be fulfilled? We will now fellowship about this issue. In fact, the Lord promised us that He would descend upon a cloud, and that is for certain. But there are many passages in the Bible that prophesy the Lord’s return. Through a careful study of the Bible, it is easy to see that there are two main parts to the prophecies concerning the Lord Jesus’ return in the last days. One part contains the prophecies related to the Lord descending in secret, and the other part contains the prophecies related to the Lord descending on a cloud and revealing Himself openly. 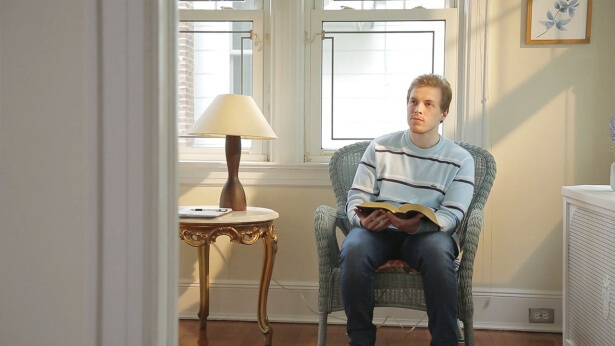 Let’s first take a look at a few prophecies concerned with the Lord’s coming in secret. Please turn to chapter 16, verse 15 in the Book of Revelation: “Behold, I come as a thief.” Now, let’s look at chapter 3, verse 3: “If therefore you shall not watch, I will come on you as a thief, and you shall not know what hour I will come on you.” And there is also the Gospel of Matthew, chapter 24, verse 44 that says: “Therefore be you also ready: for in such an hour as you think not the Son of man comes.” These are just a few examples. Brothers and sisters, the words “as a thief” and “such an hour as you think not” written in these passages are actually saying that, when the Lord returns, He shall descend in secret, and will come quietly. The “Son of man” certainly refers to one who is born of man and a flesh possessed of normal humanity. The Spirit can certainly not be called the Son of man; only the flesh of God incarnate can be called the Son of man who, like the Lord Jesus, is flesh born of man, both tangible and visible. From these prophecies, we are therefore able to ascertain that the Lord Jesus has returned by descending in secret as the incarnated Son of man, to perform His works and appear amongst mankind. Let’s now look at the prophecies concerning the Lord descending on a cloud and appearing openly. Brothers and sisters, please turn to chapter 1, verse 7 in Revelation: “Behold, he comes with clouds; and every eye shall see him, and they also which pierced him: and all kindreds of the earth shall wail because of him. Even so, Amen.” And in Matthew chapter 24, verse 30, it says: “And then shall appear the sign of the Son of man in heaven: and then shall all the tribes of the earth mourn, and they shall see the Son of man coming in the clouds of heaven with power and great glory.” From these two passages of scripture, we can see that when every eye sees the Lord coming with clouds, they do not rejoice and feel happy, but instead all kindreds wail. Brothers and sisters, we all long for the Lord Jesus’ return, but why when He does return do people wail? Having preached on this matter, I trust that we can all understand it. Because God incarnate’s work to save man in secret is over, those who refused to accept God’s work while His incarnation was working in secret and who judged, condemned and resisted Him, all see that the one whom they have been condemning and resisting is indeed the Lord Jesus returned, and thus they beat their breasts and flog their backs, they wail and gnash their teeth, and there is made manifest upon the earth a vision of the wailing of all kindreds. Therefore, the time when we see the Lord appearing openly upon a cloud is the time when God shall reward the good and punish the wicked. Now at this point, there will certainly be some brothers and sisters who will ask: “So the prophecies concerning the Lord’s return are both that God shall incarnate as the Son of man and come in secret, and that He shall descend openly upon a cloud—is this not a contradiction? How can these prophecies be fulfilled?” Actually, these prophecies do look as though they contradict each other, but this is not the case at all, for God’s wisdom is at play here. 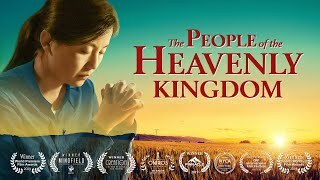 From these two kinds of prophecies, we can see that there are plans and stages to God’s work; God first incarnates and works in secret to save mankind and, when this work is complete, God will then openly reveal Himself to all peoples and all nations, and that is when He shall reward the good and punish the wicked. So that everyone can understand this better, let’s read a passage of the Bible. Please turn to Luke chapter 17, verses 26 to 30. I shall read: “And as it was in the days of Noe, so shall it be also in the days of the Son of man. They did eat, they drank, they married wives, they were given in marriage, until the day that Noe entered into the ark, and the flood came, and destroyed them all. Likewise also as it was in the days of Lot; they did eat, they drank, they bought, they sold, they planted, they built; But the same day that Lot went out of Sodom it rained fire and brimstone from heaven, and destroyed them all. Even thus shall it be in the day when the Son of man is revealed.” Brothers and sisters, this passage’s description of the state of mankind on the day of the Son of man’s appearance is exactly the same as the state of mankind when Noah (Noe) and Lot were alive. As we all know, before the flood came, God told Noah in secret about the flood that would destroy the world, and He had Noah build the ark. While Noah was building the ark, he spread the word to others about the flood that would destroy the world. But because the people of that time had not witnessed this fact with their own eyes, they did not believe Noah, and they attacked him and derided him, and said he was crazy. But when they saw the flood coming, which was the day of God’s punishment of man, they were all stupefied and they hated themselves for not believing the gospel that Noah had preached. But by that time it was all too late. The time in which Lot lived was just the same. Before fire and brimstone had fallen from the sky, God told Lot in secret via two angels about the imminent destruction of Sodom and Gomorrah and, after Lot realized this, he told this news to his sons-in-law. But because they had not seen this fact with their own eyes, they did not believe Lot. And when fire and brimstone fell from the sky, they regretted their actions and hated themselves for not believing what Lot had told them. Brothers and sisters, we can see from the days of Noah and Lot that when God works in secret, He does so to save mankind, and when His warnings are realized, then God’s punishment comes upon mankind. In just the same way, this is also how the days of the coming of the Son of man are. In the last days, God once again clothes Himself in flesh and He comes in secret bearing His inherent disposition and all that He is, He incarnates as the Son of man, and He expresses His words to conquer, perfect and gain a group of people, whilst at the same time using this group of people to preach His salvation of the last days. During this period, we will not see the spectacle of the Lord appearing openly upon a cloud. When God has completed a group of overcomers and the work of the secret coming of God incarnate is concluded, then the great disasters will immediately descend and God shall appear openly to punish the wicked and reward the good, and He shall separate each person according to their kind. To say it another way, the secret stage of Almighty God’s work is to save and perfect those who accept the truth, and when He appears openly, He shall punish those who do not accept the truth. All who humbly seek the truth and who are capable of accepting the truth shall accept God’s work of salvation of the last days during the period of God’s secret work, they shall return before God’s throne and God shall make them into overcomers. Those who do not accept the truth, however, and who, during the period of God’s secret work, rely on their own arrogant and conceited nature and who blindly condemn and resist God’s work, to the point where they even attack and blaspheme against God, God shall rank them among the wicked, and that which awaits them shall be God’s righteous punishment. Brothers and sisters, we have already seen that the prophecies in the Bible concerning the Lord’s return have basically been fulfilled. Almighty God is Jesus returned; He is the Lamb who opens the scroll as prophesied in Revelation, and He is truly the One whom we have longed for for so long. He long ago unlocked the seven seals and opened the scroll, and He has revealed to man all the mysteries that no one throughout all the ages has ever understood. The work of the secret coming of Almighty God is now about to come to its end, and He will soon appear openly—God’s work will soon reach its glorious conclusion. If we can seek, study and accept Almighty God’s work of the last days positively and proactively, and keep pace with the footsteps of the Lamb, then there is still a chance that we will be saved and perfected by God. If we are unable to accept Almighty God’s work of salvation, then when we see the Lord descending upon a white cloud, it will be too late for regret. Let’s now read Almighty God’s words and heed His words of warning! 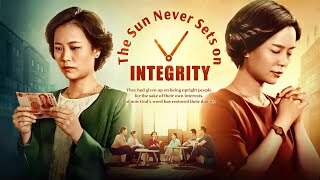 Almighty God says, “Many people may not care what I say, but I still want to tell every so-called saint who follows Jesus that, when you see Jesus descend from the heaven upon a white cloud with your own eyes, this will be the public appearance of the Sun of righteousness. Perhaps that will be a time of great excitement for you, yet you should know that the time when you witness Jesus descend from the heaven is also the time when you go down to hell to be punished. It will herald the end of God’s management plan, and will be when God rewards the good and punishes the wicked. For the judgment of God will have ended before man sees signs, when there is only the expression of truth. Those who accept the truth and do not seek signs, and thus have been purified, shall have returned before the throne of God and entered the Creator’s embrace. Only those who persist in the belief that ‘The Jesus who does not ride upon a white cloud is a false Christ’ shall be subjected to everlasting punishment, for they only believe in the Jesus who exhibits signs, but do not acknowledge the Jesus who proclaims severe judgment and releases the true way of life. And so it can only be that Jesus deals with them when He openly returns upon a white cloud. They are too stubborn, too confident in themselves, too arrogant. How could such degenerates be rewarded by Jesus? The return of Jesus is a great salvation for those who are capable of accepting the truth, but for those who are unable to accept the truth it is a sign of condemnation. You should choose your own path, and should not blaspheme against the Holy Spirit and reject the truth. You should not be an ignorant and arrogant person, but someone who obeys the guidance of the Holy Spirit and longs for and seeks the truth; only in this way will you benefit” (“When You Behold the Spiritual Body of Jesus Will Be When God Has Made Anew Heaven and Earth” in The Word Appears in the Flesh). Editor’s Note: By reading this article, we now understand that the prophecies in the Bible concerning the Lord’s return have now basically been fulfilled, and the Lord has returned! This comes as incredibly inspiring news to each of us who have desperately pined for the Lord Jesus to return! Here below, I recommend an article and a movie section for you so that you may come to an even greater understanding of the Lord’s return. Please see “The 5 Prophecies in the Bible Concerning the Lord Jesus’ Return Have Been Fulfilled” and a clip from a Christian movie “What a Beautiful Voice”: How Do the Prophecies of the Lord Jesus’ Return Come True? To God, whether people believe in Him or not, all who commit sin are the slaves of sin, they all belong to Satan and are the enemies of God, and people like this can never enter into the kingdom of heaven. All believers are longing for the Lord Jesus to return, to be raptured into the sky and meet with the Lord. But what is the true meaning of rapture in the Bible? As Christians, learning how to recognize Satan’s trickery is critical. So what can we do to enable ourselves to see through Satan’s trickery in the midst of spiritual warfare and stand witness for God?